Families often wish to have ashes scattered in a natural setting thereby honoring the last wishes of a family member or friend. Sometimes the location is a favorite place of the deceased or a place where they fished or hunted. Perhaps they may have requested their ashes be scattered to the "four winds." Public natural areas usually have specific rules concerning the scattering of ashes. Federal EPA regulations apply to coastal waters and some other areas. States and other governmental entities may have specific regulations or zoning laws. Families should check for local regulations before scattering ashes. Pugh Funeral Home has made arrangements with the private owners of a registered natural landmark, to scatter ashes on their property. Golden Prairie, once in the heart of the Osage Indian nation, was part of an extensive prairie which evolved 4,000 years ago and supported an abundance of prairie wildlife in Barton Country at the time of settlement. Prairie chickens and sandpipers were common. Golden Prairie near Golden City, Missouri is located in Barton county. 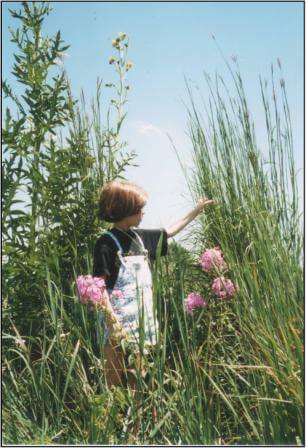 The prairie is a 600-acre natural jewel which supports well over 350 different plant species. Greater Prairie Chickens and coyotes are common as are many other prairie animals. The predominate fall colors and its proximity to Golden City reflect the name, "Golden Prairie." In winter, marsh hawks and short-eared owls forage over the prairie rodents. The prairie is watered by two natural springs and was designated a National Natural Landmark by the National Park Service in a dedication on May 8, 1976. Families requesting ashes scattered on Golden Prairie receive a certified designated the GPS* location and a picture of the actual area. A donation to the Missouri Prairie Foundation is required in addition to the funeral home charges. Natural areas usually do not permit any kind of memorialization or markers on the property. A portion of the Garden of Remembrance is reserved for persons that may be scattered on Golden Prairie or other natural areas. The north side of the cenotaph (monument) is reserved for persons with a special love for the prairie landscape. A quotation from the book, Our Margin of Life, by renown prairie preservationist and conservationist Eugene M. "Gene" Poirot is inscribed on the unpolished natural stone. The passage quoted is "... The prairie does not measure the success of its creatures in gold or silver, but rather in those values they create for other creatures..." Persons that designate their ashes to be scattered on a natural area that prohibits any kind of memorialization may be remembered on this cenotaph (monument).